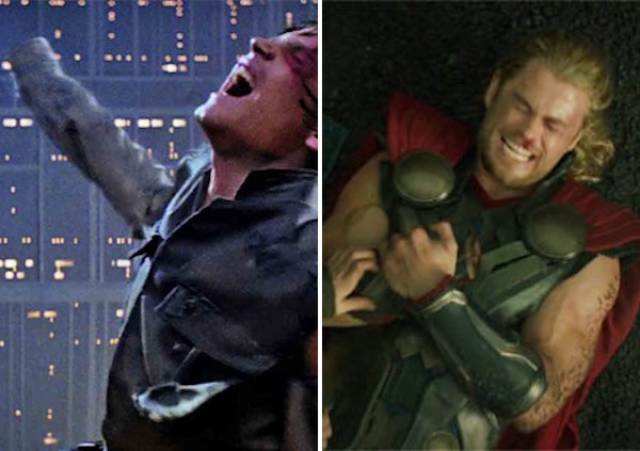 This is a deliberate homage by Kevin Feige to Star Wars. In that saga, Anakin, Luke, Vader, C-3PO, Mace Windu, Count Dooku and many more lose a limb. In Phase 2, the same thing happens to someone in every single movie. 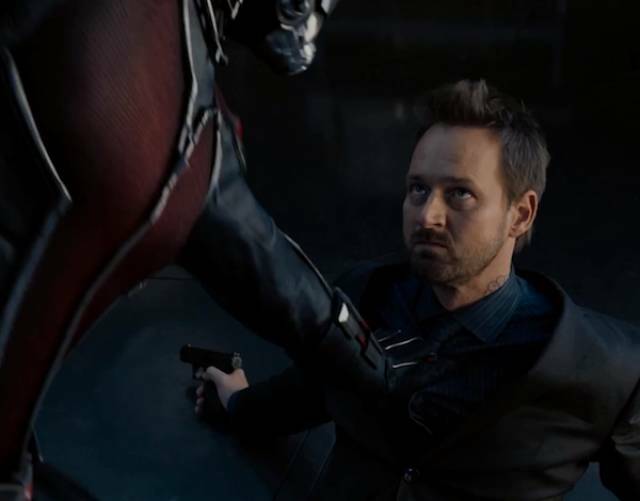 Thor loses his arm in Thor 2, Aldrich Killian in Iron Man 3, Bucky in The Winter Soldier, Groot in Guardians of the Galaxy, Iron Man in Age of Ultron and Yellowjackets in Ant-man. Before he has his accident, Dr. 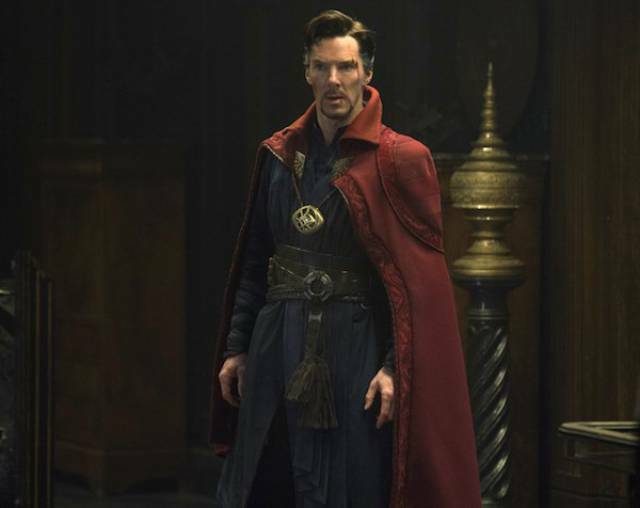 Strange gets a lowdown on the MCU. While he’s talking to Billy about potential patients, he hears about a “35 year old Air Force Colonel that crushed his lower spine in some experimental amor.” Sounds like War Machine. The last patient is a “22-year-old female with an electronic implant in her brain that controls schizophrenia, struck by lightning.” This might refer to Captain Marvel, but given that her film takes place in the 90’s, we’re not sure who this will be yet. Finally, the song the plays as he’s driving is called Interstellar Overdrive, which is a Pink Floyd song, from an album that featured Doctor Strange on the cover. We know that he shows up in all the movies, but did you know he also shows his face on the tv shows? In Daredevil & Jessica Jones he’s on a decorated plaque in the police station. In ep. 12 of Luke Cage he’s on a crime prevention poster. Easily one of the most memorable parts of the film, it just didn’t come from nowhere. 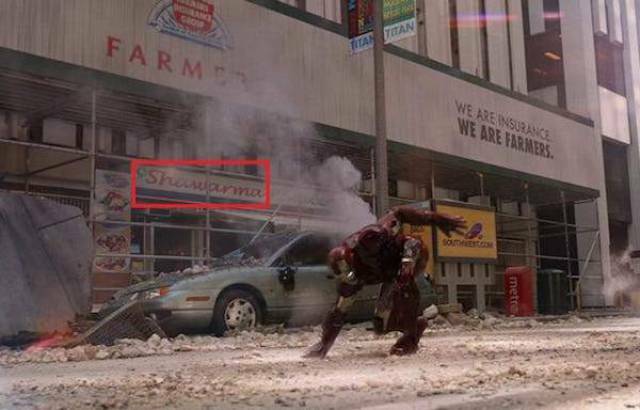 Earlier in the film, when Iron Man crashes to the ground after fighting the Leviathan, we get a glimpse of the restaurant, and odds are, he did too. Shawarma’s always a good idea after strenuous exercise and near death experiences. Named Hugin and Munin, they serve as Odin’s eyes and ears. 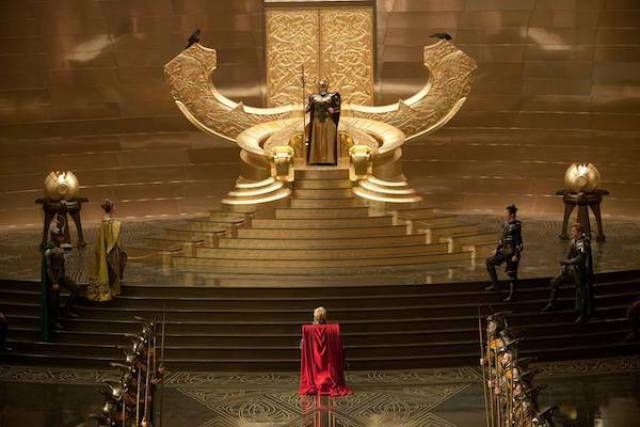 They’re first seen in Thor sitting on either side of Odin’s throne, and hovering over the king over his Odinsleep. In The Dark World, one of the ravens is seen in Odin’s first appearance on his balcony. They show up again in The Avengers, when Thor takes Loki from the Quinjet, and they crash to the ground. The birds are later seen flying around as the brothers argue. First introduced when Thor draws it for Jane Foster to explain the nine realms, it also shows up several more times. The most notable is in Captain America: The First Avenger, when it’s engraved into the wall where the Red Skull finds the Tesseract. 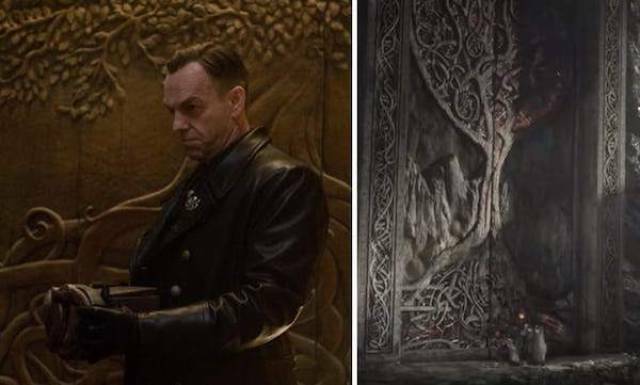 Later, it’s seen carved in the wooden door of the safe house in Ragnarok, where Heimdall is hiding the Asgardians from Hela. At the end of the film, a similar tree can be seen burning in the middle of Asgard, as a sign of dangerous things to come to the nine realms. 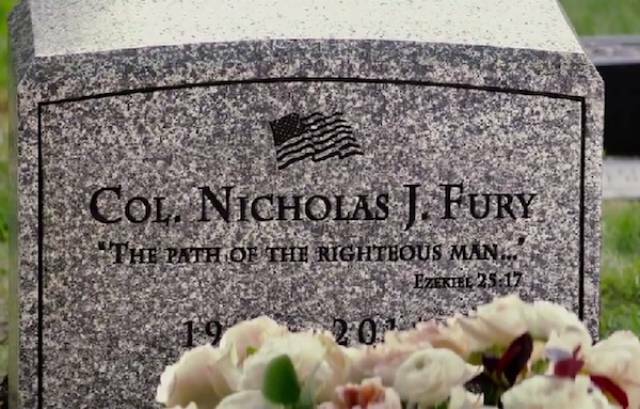 At the end of the film, Nick Fury visits his fake gravestone with Cap, Black Widow and Falcon, and there’s an iconic inscription on the headstone. According to the filmmakers, they struggled with what to write on there, before they decided on the quote found there. In case you can’t recognize it, it’s a bible verse that Samuel L. Jackson character of Jules would quote in Pulp Fiction, before attacking his victims. If you recall, the Ten Rings was the terrorist group hired by Stane to capture Tony Stark, and was supposedly led by the Mandarin. We haven’t really heard of them in the interim, but they showed up again as one of the interested buyers of the Yellowjacket suit. Hopefully, they make a definitive appearance to close the loop on who the hell the real Mandarin is. While most think that Hawkeye might be the most useless character on the team, he’s actually one of the most present. In Thor, he was assigned to take down Thor, when he broke into a SHIELD facility to get his hammer back. Then throughout The Winter Soldier, Black Widow wears an arrow necklace as a shoutout to their shared history. 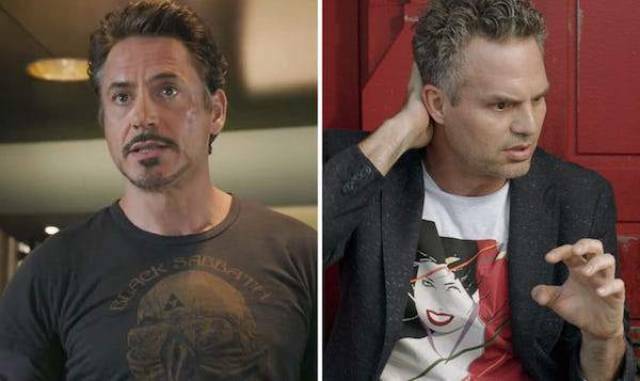 There’s the Black Sabbath T-shirt in The Avengers as a reference to the song “Iron Man,” the fact that Peter Parker is wearing a shirt that was once seen on Pepper Potts speaking to their dissolved relationship in Homecoming, and in Thor: Ragnarok, Banner is given one of Stark’s shirts to wear. On it, is an image of a Duran Duran album cover. Recall that one of their hit songs was Hungry Like the Wolf, and later on in the film, Hulk battles Fenris Wolf. We all know that Chris Evan’s was initially cast as the first Johnny Storm in Fox’s The Fantastic Four. 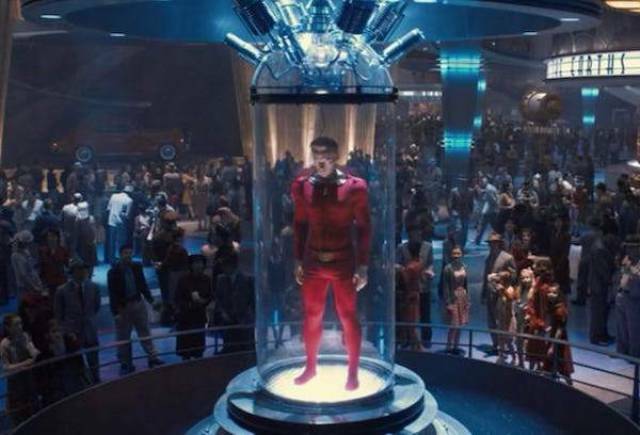 In The First Avenger, when Steve and Bucky visit the Stark Expo, they see the original Human Torch, which was an android and the first superhero created by Marvel in 1939. He later joined the Invaders with Captain America and was the inspiration for the Johnny Storm iteration of the Human Torch. 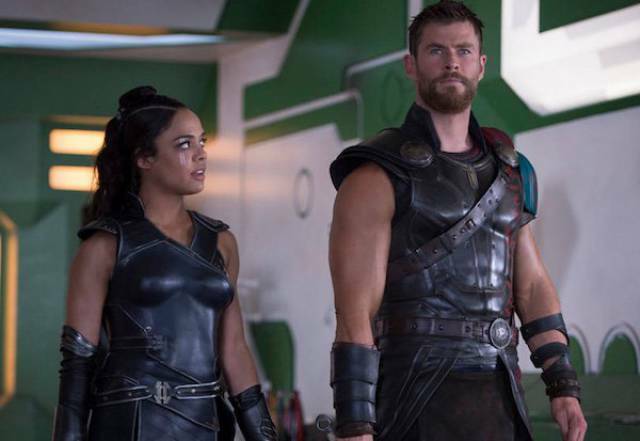 In the first Thor, Thor is associated with the name “Donald Blake.” He’s Jane’s ex boyfriend, and it’s his clothes that Thor borrows. It’s also the name he’s given when he infiltrates the SHIELD facility. In the comics, Donald Blake is Thor’s human alter ego, and he taps his cane on the ground to transform into Thor. Later, in Ragnarok, Thor does this gesture on earth, to return to his natural form and turn the umbrella into Mjolnir. In that same film, Valkaryie’s nickname is also an Easter Egg. The grandmaster calls her “Scrapper 142,” which refers to her debut in Incredible Hulk #142. In Thor several billboard advertise New Mexico as “The Land of Enchantment… Journey into Mystery.” Thor’s Marvel debut was in the comic book, Journey into Mystery. Also, in Iron Man, there’s a deliberate reference to Fin Fang Foom. The gag started in The Avengers when Tony gives Pepper Potts 12% of the credit for the Stark Tower. 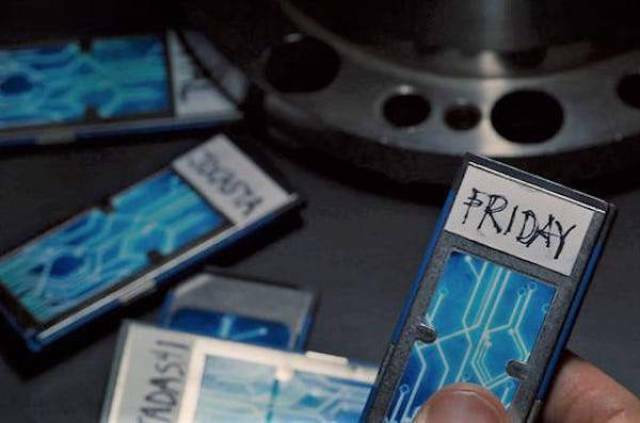 Then in Age of Ultron, we learn that Quicksilver is 12 seconds older than Wanda. Finally, in Guardians, Rocket makes fun of Star Lord because he only has 12% of a plan. When Stark needs a new AI to replace JARVIS, he tosses one aside called Jocasta. This is the name of the robot bride that Ultron created in the comic books. She eventually turned on him and joined the Avengers. He also passes on an interface called TADASHI. This refers to Big Hero 6, where Baymax has an AI program stored in a chi named after his creator Tadashi Hamada. Finally, the program he decides on is called FRIDAY, which is his holographic assistant in the comic books. 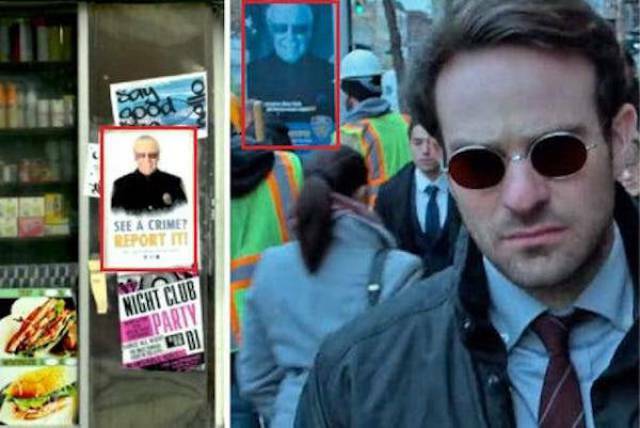 Besides Captain America’s cameo and Stark’s presence, there are a few others. 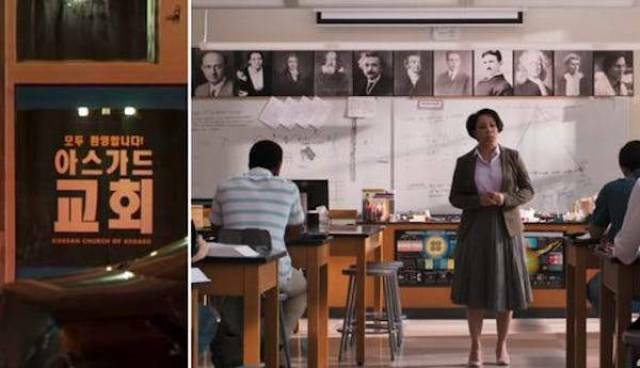 In Peter’s chemistry class, there’s a series of photos of famous scientists – Banner is up there. As well, there’s a mural of Howard Stark in the hallway. Finally, on the cargo ship transporting Stark’s stuff from the Avengers Tower, you can see a new shield for Captain America and Ultron’s head. 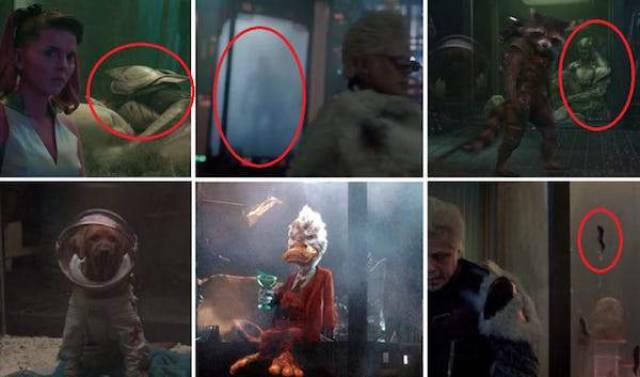 Some of the more obvious easter eggs are Cosmo the dog, Howard the Duck and a cocoon that may or may not be Adam Warlock (probably not). When the Guardians are first entering the museum, you can see a Dark Elf behind the Collector’s assistant, a frozen frost giant and a Chitauri, as well as some slugs from James Gunn’s film Slither and a NASA space suit. 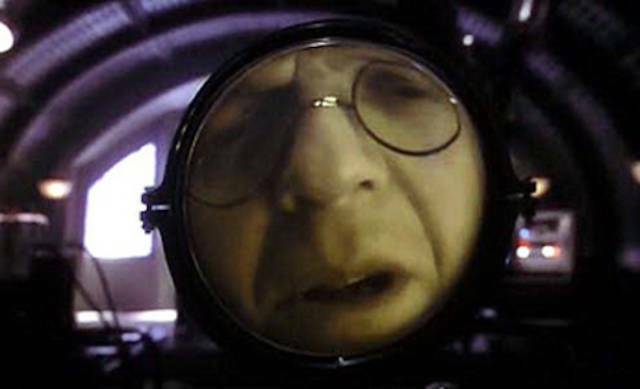 In our first meeting with Dr.Zola, we see him through a magnifying glass. This is very similar to his comic form, where he’s projected on a screen within a robot’s body. In fact, the plans for this form are seen beside him. Later, in The Winter Soldier, we see him in that form.